MSV: INSIDERNJ: Jen Giattino - "I'm going to win!" In INSIDERNJ interview, City Council President Jen Giattino says "I'm not splitting the vote; I'm running for mayor and I'm certain I'm going to win." In an story released on INSIDERNJ, Council President Jen Giattino is looking toward the November 7th Hoboken mayoral election and sees good things for her mayoral candidacy. With three other mayoral competitors in the mix, the three time and current City Council President sees her six year record on the City Council of consensus building with others as one reason her mayoral candidacy will be propelled to victory. a great November with a victory in her mayoral bid. Giattino's record of working with others and constituent service is emphasized. The article also highlights how an overview of approaching the City is missing. "Our biggest problem is planning and not looking at the city holistically," and points to Hoboken's north end. Talking Ed Note: Although Jen Giattino is up against three other mayoral candidacies likely all better funded, much if not most of that support comes in money from outside Hoboken. "Jen Giattino's support comes from the grassroots in Hoboken," one well-placed source close to the Giattino campaign said. 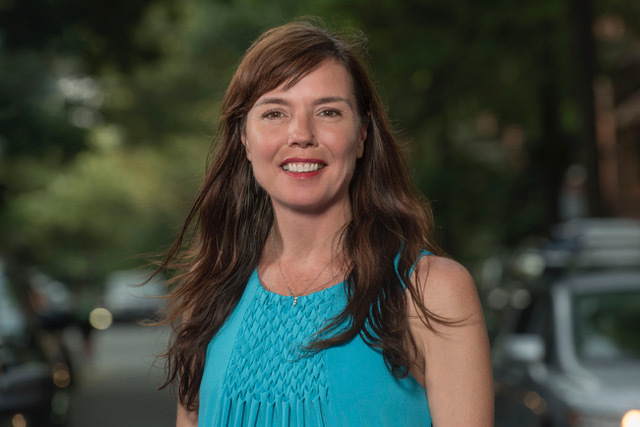 Even with vacation season in full swing for many Hoboken residents the source added, "Jen's campaign is a locomotive picking up steam and it's rolling." Over the weekend the Jen Giattino mayoral campaign opened a new campaign office at 152 Newark Street. The campaign office downtown means all four major mayoral campaigns are set up for a big push toward November. Kurt Gardiner, a long time Reformer in Hoboken and the current Sargent-at-Arms for the Hoboken Democratic Committee endorsed Jen Giattino for Mayor on Monday. After reading the INSIDERNJ article compared her to Joe Namath the famous NY Jets Quarterback who predicted a Super Bowl victory. 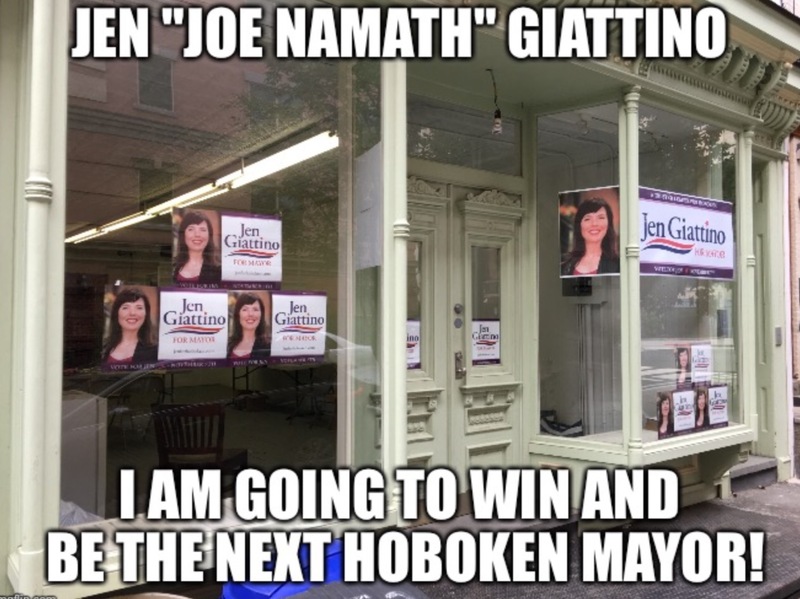 City Council President Jen Giattino's new campaign office at 152 Newark Street as pictured here courtesy of Kurt Gardiner who also supplied the Joe Namath meme.